The CVHBA playhouse is a fundraiser for the organization’s Giving Back Foundation and allows the foundation to give back to members of the Cache Valley community. Your ticket purchase helps fund the efforts of homebuilders to improve the lives — and living conditions — of those in need. CVHBA Giving Back Playhouse Bonus Stop is located at Sierra Restoration, 995 S Main, Smithfield. • How do I enter to win the Playhouse? • How many tickets can I buy? 100 percent of all ticket purchases and additional donations goes directly to the CVHBA Giving Back Foundation, which is the charitable arm of the Cache Valley Home Builders Foundation. The Foundation utilizes the talents and craftsmanship of the Association’s members to give back to those in the community with needs pertaining to the housing industry. • When and where is the drawing for the Playhouse? 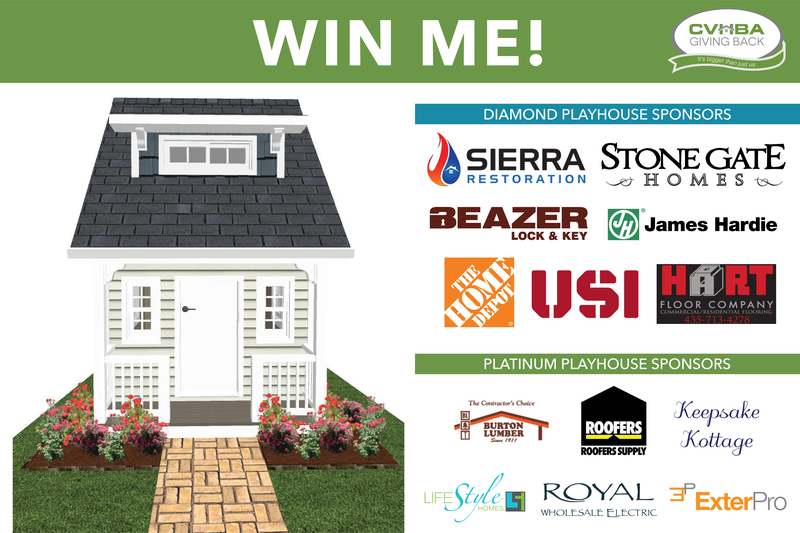 The Playhouse will be given away at the conclusion of the 2018 Cache Valley Parade of Homes. The drawing will be held on Sept. 29, 2018, at 8 p.m. at Sierra Restoration. • Do I have to be present to win the Playhouse? you will be notified if you win. Siding Contractors/Soffit & Fascia/Soffit & Raingutters ExterPro Inc.